You are here: Home / Healthy Living / Is Inflammation Making You Sick? Inflammation can be a good and bad thing depending on the scenario. When you stub your toe, your body’s immune system kicks in to increase blood circulation to the injured area, create heat to fight infection, and send white blood cells and other chemicals to fight off bacteria and repair damaged cells. That’s good. But when your body continues to produce inflammation under the radar, studies are showing it puts you at high risk for health problems, including heart disease and cancer. And more information is being revealed every day about the negative effects of chronic inflammation on our health. Inflammation can be triggered by conditions such as chronic back pain and even gum disease. Excess weight — especially around the belly — also increases inflammation because body fat produces hormones and secretes substances that can trigger inflammation. There are many factors that can contribute to chronic inflammation including stress, toxins, genetic predisposition, lack of exercise and diet. Saturated fat, trans fats, omega-6 polyunsaturated fats (not to be confused with healthful omega-3), sugar and other simple carbs all are linked with higher levels of inflammation. To start fighting inflammation and the risks it brings, you should lose excess weight — even just 5 percent of your body weight, exercise regularly, adjust your diet to and work in more anti-inflammatory foods. • Fish, canola oil, walnuts — good sources of omega 3. • Olive oil, peanut oil, nuts and avocados — rich in monounsaturated fats that also improve the body’s cholesterol balance. • Fruits, vegetables, whole grains — antioxidant powerhouses that calm inflammation. Look for produce with deeper or brighter colors, which have the most antioxidants. • Herbs, spices, teas — concentrated antioxidant sources, especially cinnamon, curry, dill, oregano, ginger, and rosemary. Most teas, including green, black, white and oolong, burst with antioxidants. Additionally, try to avoid as many pro-inflammatory foods as possible. Eliminate foods that are high in sugar and avoid toxins and pesticides both in foods and everyday products. Instead, opt for organic or toxin-free alternatives. Manage your blood sugar by avoiding high glycemic foods, such as refined carbohydrates and highly processed foods, and consume adequate amounts of protein with each meal. 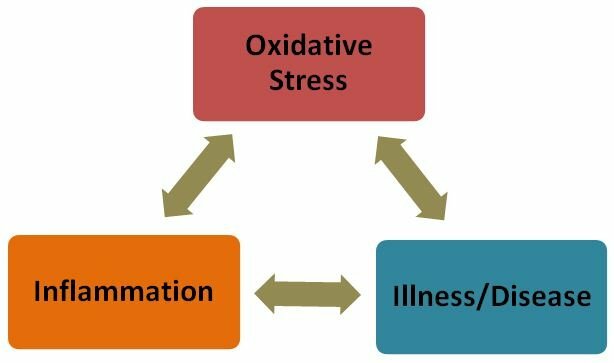 Beneficial bioactive compounds can provide your cells with nutrition necessary to combat today’s environmental stresses and decrease your risk of chronic disease. According to a study at the University of Illinois, lunasin works to protect cells by reducing the negative effects of oxidative stress and by regulating the body’s inflammatory response. If you’re looking for the anti-inflammatory benefits of Omega-3 fatty acids, you need look no further than Reliv’s 24K™, GlucAffect®, ReversAge® and Reliv Now® for Kids. People of all ages will benefit, whether they’re children growing strong minds and bodies or adults maintaining their health and longevity. You can optimize your results by adding LunaRich X™—the most pure, concentrated form of lunasin ever produced—to your daily regimen. In addition to its own health benefits — from cholesterol reduction to overall cellular health — LunaRich X powers up the benefits you receive from other Reliv products. https://www.blog.wealththrunutrition.com/wp-content/uploads/2016/02/New-Logo-2016-White-156V-300x142.jpg 0 0 John Curtin https://www.blog.wealththrunutrition.com/wp-content/uploads/2016/02/New-Logo-2016-White-156V-300x142.jpg John Curtin2014-04-28 18:15:122014-05-30 14:25:38Is Inflammation Making You Sick? IBS Awareness and the Fiber Connection Is Your Skin Ready for More Time Outdoors?